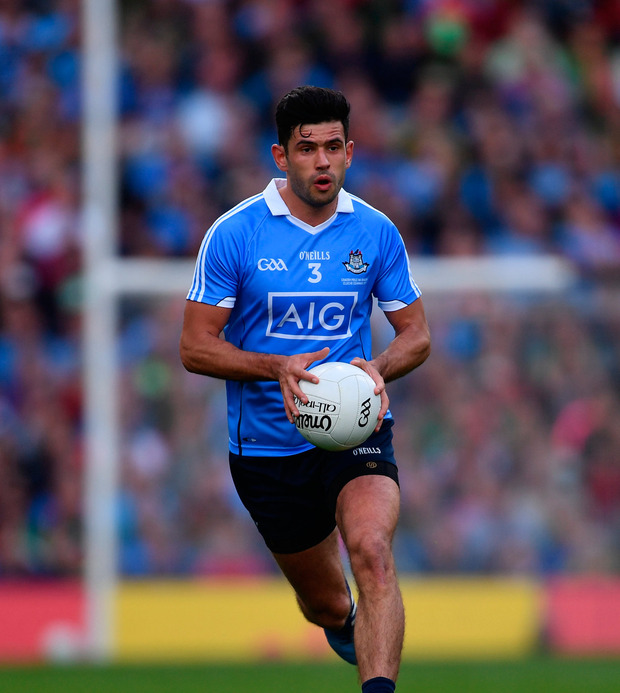 CIAN'SULLIVAN could be in his line for his first start of the season as Dublin prepare to tackle the Kerry young guns. Mick Fitzsimons has failed in his quest to be cleared for tomorrow's Allianz FL clash at Croke Park. And this will inevitably fuel speculation about a recall for O'Sullivan, his fellow 2017 All Star. Jim Gavin has yet to reveal his hand but is not without defensive options. Philly McMahon was originally named to start Dublin's last Division 1 tie in Mayo, only to be replaced by Fitzsimons. The latter was then sent off in injury-time after an airborne block connecting with Aidan O'Shea. Fitzsimons was reported by referee Paddy Neilan for "dangerous" play. He sought to have his red card quashed by the Central Hearings Committee on Thursday night - but the CHC ruled the infraction "proven" and confirmed a one-match ban. O'Sullivan s sure to be in contention for a recall, having appeared off the bench in Castlebar and previously against Donegal. Kerry already trail Dublin by four points and desperately need a victory to preserve flickering hopes of retaining their league crown. But Jim Gavin will be just as keen to keep Éamonn Fitzmaurice’s minor graduates in their place, while the in-form Brian Fenton will be gunning to make amends for Dublin's midfield travails in last year's NFL decider. M Burns, S O'Shea, A Spillane; D Clifford, P Geaney, K McCarthy. Waterford and Limerick still have hope heading into the final round of games after last night's scrappy stalemate in Dungarvan, where Déise full-forward Aaron Ryan struck two late points to level matters.